Jack has taken to the ring with grace gaining his title at 17months. He finished his title with a junior in group. 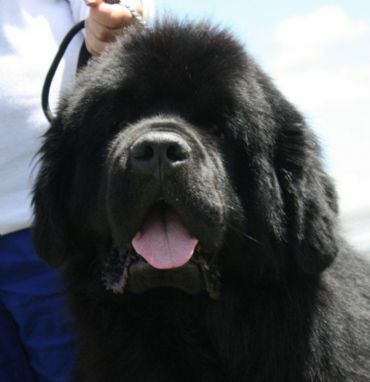 Jack finishes 2011 winning Top Best of Breed Newfoundland DOL pointscore and no.18 top show dog in Victoria. Could not be prouder of this boy if we tried. Looking forward to an equally enjoyable 2012. Jack goes Runner up in Show & Best Open in Show at Kerang & District Agricultural Society 2011 under Mrs G Alexander. Jack goes BEST OF BREED at MELBOURNE ROYAL 2011 with a total breed entry of 22!!!! Jack wins Dog cc and Runner-up best of breed at Adelaide Royal 2011. Jack goes Runner-up in show at the Utility Show 2011. 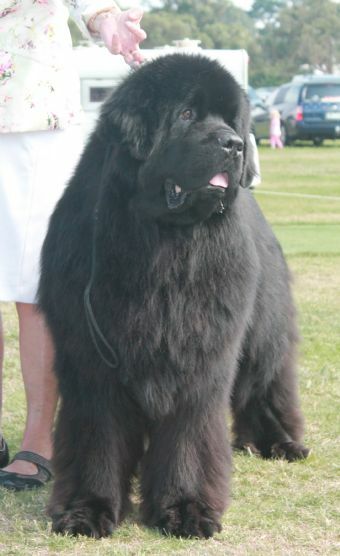 Jack Wins Best in Show at the Newfoundland club of South Australian 2012 Championship show, then went on to win Supreme winner over both the BISS Pyrenees and Bernese Mountain Dog. 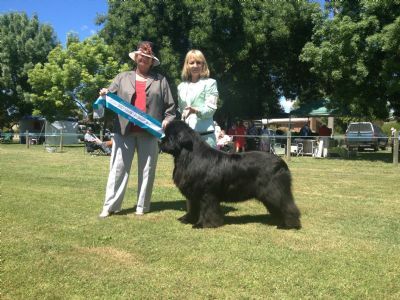 Jack Wins Best in Group at Kyneton & District Kennel Club Inc Under Ms P Junehall (SWD). Lovely masculine dog, strong head not overdone, of good substance and size, with excellent bone, and powerful hindquarters." 1X Best Champion of group. 1X Best in Specialty Show. Some being under international judges. D: Any Chance for You.